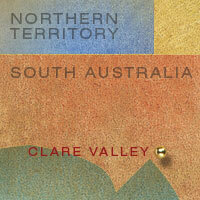 It's a place of paradoxes, the Clare Valley. It's a valley, but it's 400m above sea level. Technically, it's a cool climate area, yet it has the lowest summer rainfall of any of Australia's viticultural regions. It's renowned for its steely-eyed Rieslings - and rightly so, they’re world class - and yet port is produced here and Malbec thrives in a way unlike anywhere else in the Lucky Country. Indeed this 'field of shocking green', as Oz Clarke describes it, with its myriad soil types and altitudes and aspects, all within its 25km length, is a collection of contradictions and accidents of nature that allows the production of varieties and wonderful elements - acid, elegance, delicacy - that you just don't expect when you're a loam soil's throw from the hot, dead heart of the continent.